10864 Wolfe Hill Lane in Great Falls, Virginia is a lodge style dream home only minutes away from the sought after Village of Great Falls! This Lindal Cedar Deck home has rustic charm and warmth written all over it. Architectural features include exposed beams, hardwood floors, and floor to ceiling picture windows that let the light in and provide spectacular views of the surrounding trees. Spend the day cooking in the modern kitchen with granite counters and stainless appliances. Main level bedroom with full bathroom. The upper level offers a master bedroom suite and 2 additional bedrooms with vaulted ceilings and a full bath. Spend spring, summer, and fall on the front and rear decks with amazing private tree views. The lower level is ready for a renovation or storing any extras you have. 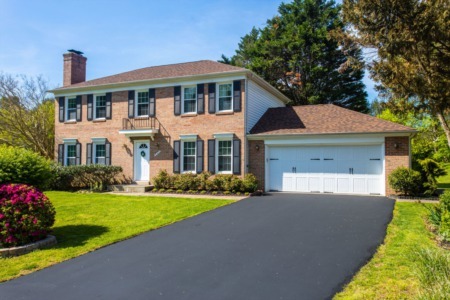 Circular paved drive leads up to the house and separate 2-car garage. Just outside Washington, DC and minutes to Reston. 10864 Wolfe Hill Lane is extremely private and located in the heart of Great Falls in the Langley High School boundaries of Fairfax County.